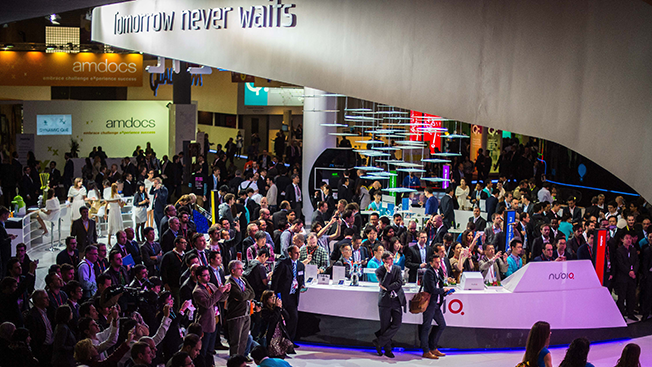 It wasn't that long ago that Mobile World Congress was known only within telecommunication circles as an annual must-attend conference. But with smartphones and tablets now at the center of the marketing world, the event has become a major draw for Madison Avenue's top creative shops that are looking to learn about the nitty-gritty world of mobile technology and how people are using multiple devices. Roughly 100,000 people plan to attend the five-day conference in Barcelona, Spain, this year, up from 93,000 last year. As with CES—the Las Vegas tech conference that's often compared as the United States' closest comparison to Mobile World Congress—every major holding company will have a presence at the show, hosting panels, cocktail parties and personalized client tours of the show floor. WPP chief Martin Sorrell and Starcom Mediavest Group's chief revenue officer Laura Desmond are among a handful of keynote speakers who will talk about how mobile is shaping the media and advertising industries. But the tech-heavy event is also attracting more creative folks who are increasingly making campaigns designed to be viewed on multiple screens. "It's a place to learn and see what's going on and how people are using mobile technology," said Y&R global CEO David Sable, who will also keynote a talk. "Much like CES where everybody says, 'It's about technology,' 90 percent of the discussion is about screens and who has the coolest, biggest screen." Leslie North, The Martin Agency's group planning director of UX strategy, is attending for the third time and said that the conference gives her a perspective into how big of a business mobile is outside of advertising, including mobile banking and payments. "When you're doing advertising in the U.S., you get a very centric view to the U.S.," she said. "The U.S. is still relatively far behind in mobile—it's interesting to see how the rest of the world has taken mobile to the next step." From financial services to packaged-goods brands, North said "there's people there from every category that you can think about because mobile has become so entrenched in everything we do." Plus, Barcelona's famous Gaudi architecture and art community prove that "the creative inspiration in Barcelona is everywhere," she noted. Compared to CES, where tech companies show off every imaginable gadget, Mobile World Congress' chiefly spotlights smartphone-based technology. "At CES, you have to walk by fridges, connected cars, etc. The focus at Mobile World Congress is helpful for us," said Nick Jones, evp and innovation lead of Leo Burnett's Arc retail practice. "It is literally wall-to-wall mobile technology." Jones said that he's specifically looking for new technology that can make shopping more personalized for retail clients. For example, last year he saw Google's beacon technology and image-recognition software that can be used to build shopping lists. To help brands navigate the show floor, McCann creates custom tours for clients and will host a series of panels with brands including Coca-Cola and Nestle. In total, McCann is sending more than 50 staffers to Mobile World Congress across all of the agency's offices. "We love Mobile World Congress because we saw where things were going with mobile very early on and wanted to take advantage of that—we create an event within an event," said Sean MacDonald, global chief digital officer at McCann. "This year, we're focusing on how brands should adapt to all of these changes that are going on in the mobile world." Meanwhile, Ogilvy is sending 30 to 50 reps to soak up content and help clients meet with ad-tech companies and partners along Spain's Mediterranean coast. The team also sets up a content studio staffed with copywriters and equipment to crank out content. Martin Lange, global consulting partner for OgilvyRED, didn't disclose what his team is doing on the ground this year, but last year the team captured live content from speeches and the show floor for IBM. "We have quite a few clients that have a large presence at Mobile World Congress—for some of them, it's the largest conference of the year, so we create content on the ground on their behalf," said Lange. "We have 24/7 content studios set up, whether in Barcelona directly or remotely in the home office. As content is being captured, say we interview somebody, it's going directly into the newsroom and it can go live."